State employee, he was used, on his free time, to cross in the vineyard from Rhone Valley and elsewhere. Passion pushing, he decides in 1996 to create Tardieu - Laurent in Lourmarin, in the heart of his native Provence. 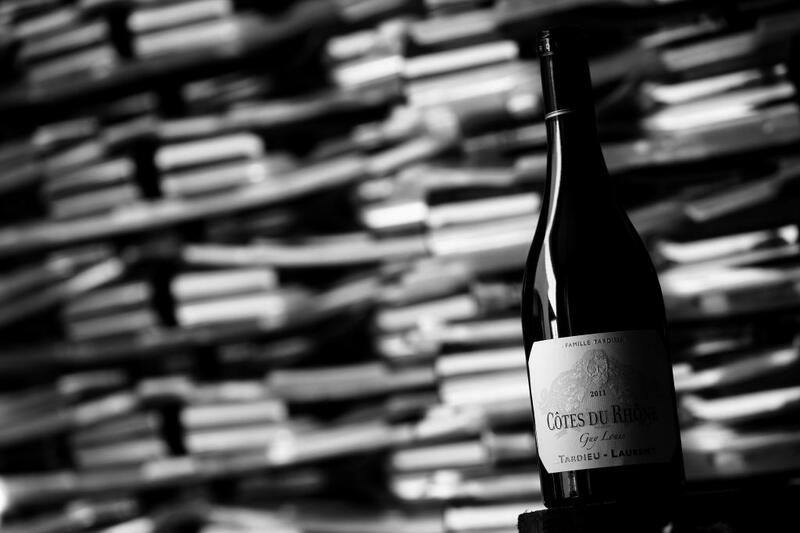 Since, Michel dedicates is time to select the greatest parcelles, and the best grapes to master them through rigorous but respectful ageing methods, with sharpness and delicacy, to please wine's "amateurs". Bastien et Camille Tardieu, the children, joined Michel and Michèle the parents. The Men are in the cellar, The women manage, all together they communicate a wine philosophy, transmitted from Michel. A philosophy which involve a taste memory. A sensitivity acquired by tasting, eating anywhere, developing an olfactive and gustative palett, filled with respect and tolerance. All in all, not a theoretical conception of wine. "By never stopping tasting in the best winemakers cellars, we learn the great wine "culture", essential ingredient to understand wine and "terroirs"..."
Michel loved serve some drops of great wine in the children glasses at sunday lunch, imagine his happiness to have them working with him 20 years after, to select, share, blend, age, and give birth to great wines dedicated to Rhone Valley's lovers.